It has been a long time since my last post here, upon leaving for France in January of 2010! When I first arrived, I found that the slow dial-up Internet service did not allow me to post here or work on my new blog. It was very frustrating, being out of touch with my friends and family...and especially not being able to get my blog running. After a year and a half of many unsucessful attemps to subscribe to the local WiFi service and many other providers...I finally found a company that provides satellite coverage in this remote area in the mountains. 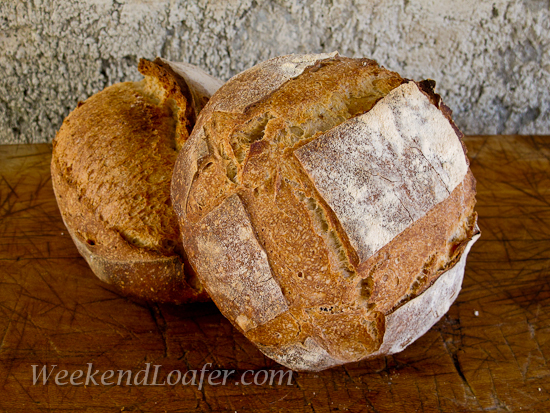 So...I finally have my blog online and have been baking my way through Daniel Leader's Local Breads. Once I catch up with some stories about the "Life on the Mountain", I plan to start posting again here on The Fresh Loaf. Untill then, I hope you will visit my blog and say hello...I really miss all of you here! My most recent posts are about a trip to Corsica with alot of photos and my take on the beatiful island and a great bread from Local Breads, Pain de Campagne. Thanks....it has been a long hard road back!